There’s a lot we can learn by taking a look at the year’s bestselling books—both from the books that appear on the list, and from the books that don’t. Publisher’s Weekly shared a list of 2018 bestselling print books in this article, published on January 4th. This list of bestselling books is a great resource for self-published authors to analyze upcoming trends in the publishing industry. In this post, we take a look at 2018's trending book topics and break down some key points you can take away to enhance your writing career. There were a few major categories represented in this year’s bestselling books list: politics, big-name brands, self-help, children’s books, and books that hit the big screen. What made political books in 2018 stand out? What’s a key difference in the children’s books that made the list, and those that didn’t? Read on to find out. Without intending to sound like a broken record, we can’t ignore the fact that political books dominated the book publishing industry in 2018. From memoirs like Michelle Obama’s Becoming to exposés like Fire and Fury, we saw titles diving deeper into the lives of the nation’s most influential people. But it didn’t stop there—the team at Last Week Tonight with John Oliver makes an appearance on the list with A Day in the Life of Marlon Bundo, a fictional children's book based on the real-life pet of United States Vice President, Mike Pence. We even saw best-selling author James Patterson team up with former U.S. president, Bill Clinton, in the fast-paced mystery, The President is Missing. What can you take away from the prevalence of political books on bestseller lists? First, don’t limit yourself to thinking that politics only hits bookshelves in the form of biographies. As you can see, James Patterson put a unique spin on his newest thriller by working directly with a high profile political figure as his co-author. We also see political issues making their way into children’s books, still written in a way that’s age-appropriate for children. Regardless of how you feel about the current political climate, it's clear that politics is influencing more genres than just biography. Second, let’s take into account the dissemination of news. In this digital age, news travels fast. If you're publishing a political book, you better get it out quickly. If you don’t, you can rest assured that someone else will. It's important to consider your publishing options and how quickly you can get your book on the shelves when you're dealing with time-sensitive subjects like politics. Self-publishing is especially good for books with quick timelines as the traditional publishing process isn't always built for rapid publication. Finally, let’s talk about the shelf-life of political books. A different list by Publisher’s Weekly, analyzing 2018’s longest running bestsellers, revealed that only one of the top 10 hardcover nonfiction titles was political. This demonstrates that while sales volume potential is there, the longevity for political books is not. As the book publishing industry continues to evolve, publishers are increasingly seeking out brands or influencers with the potential to take sales volume to the next level by utilizing their built-in following. Rachel Hollis (Girl, Wash Your Face) and Joanna Gaines (Magnolia Table and Homebody) both had a sizable, loyal following before publishing their books. John Grisham’s The Reckoning could also be categorized here, seeing as how many readers buy his books going off of name recognition, regardless of the plot—he’s an example of an author who's built a trusted name that says more than the book description would for a potential reader. What does this mean for indie authors in 2019? Build. Your. Brand. Whether you’d like to acknowledge it or not, if you’re an author, you are no longer just selling your book—you’re also selling yourself. This matters especially in nonfiction. If you’re selling a book around a certain topic, you need to begin building yourself up as a subject matter expert. That way, when you publish a book, you’ve got built-in credibility around your name to be speaking on your topic. Start by assessing your publishing goals, and then creating a plan to achieve them. In the IngramSpark Academy, we offer free online self-publishing courses to help you build your author platform and create your social media following. There are an abundance of resources available to help you on your journey to find your audience and build your tribe. Self-help books are a long-standing trend, making appearances on the bestseller list each year. But, if you take a closer look, you’ll notice how the self-help topics will subtly change year over year. Compared to the decades past, the self-help books on bestsellers lists today are vastly different. In case it isn't clear by the titles, in You Are a Badass and The Subtle Art of Not Giving a F*ck, Jen Sincero and Mark Manson are each going after the less typical “self-help” crowd. Also on the list is 12 Rules of Life: An Antidote to Chaos, by Jordan B. Peterson. With chapter titles like “Do not bother children when they are skateboarding” and “Pet a cat when you encounter one on the street,” Peterson spreads his message in a quirky, entertaining way that, again, appeals to the kind of people who may not typically venture towards the self-help section. What's so different about the self-help books being published today versus the books published just a decade ago? The idea of achieving perfection is long gone. Readers want help reconnecting with themselves; they want help decluttering and making sense of the chaos in their minds! As this segment of self-help continues to evolve, you’ll see the market for self-help readers expand and grow. More readers are gravitating towards authenticity in the self-help section. If you don't try to relate to your reader in a unique and genuine way, they'll find someone who will. A Wrinkle in Time (originally published in 1962) and Crazy Rich Asians (published in 2014) both got a refresh this year when the books were brought to the big screen. There’s no doubt that this holds true for all titles that are fortunate enough to be made into movies, and you can expect to see the same reflected on bestselling book lists in the future. How does a movie deal impact a book, and how should authors take advantage of this knowledge when writing a book? To start, don’t force it. Not all books are meant to be movies, and that’s okay. Some books are heavy on the character’s inner dialogue, and this can be difficult to capture visually. Remember that making a movie is a long process, and if your book will not be relevant in a year, this might not be an option for you. If you’ve written a story that you believe has the potential to be turned into a movie, then start educating yourself on the movie/entertainment business. It starts with a screenwriter, and this person is not typically the author of the book. This can be costly, so first, you should solicit feedback on whether or not this is a worthwhile venture, and don’t let this process distract you from your ultimate publishing goals. Quite a few of this year’s bestselling print titles are children’s books. The Meltdown, Jeff Kinney’s 13th installment of the Diary of a Wimpy Kid series, tops the list for this demographic. Dog Man, from the creator of Captain Underpants, and Dog Man and Cat Kid (the 4th book in the series), make an appearance as well. The Wonky Donkey is a fun read-aloud tale (albeit for a slightly younger audience than the others), and no bestselling book list would be complete without the classic, Oh, The Places You’ll Go! by Dr. Suess. What do these children’s books have in common? For starters, you can spot a few book series. As new books are released and gain momentum, the backlist titles (such as Dog Man) continue to see a boost in sales too. With shorter storylines than adult fiction, there’s a huge opportunity for children’s books to live on from one story to the next. What else do they have in common? Humor. Some of you may associate young readers’ books with the books of your childhood, like the mysterious tales of Nancy Drew and The Hardy Boys; but these days, humor is the way to go. While The Wonky Donkey is intended for a younger audience, the purpose is the same—to make children laugh. There are always going to be outliers, but each year, it’s easier to predict what books will be a hit based on evaluating the market trends. Let’s end with making sure we get one thing straight: professional writing, editing, and publishing are all a must, regardless of whether you’re following the top trends in book publishing. Make sure you’re educating yourself on publishing best practices, and self-publish with IngramSpark today! 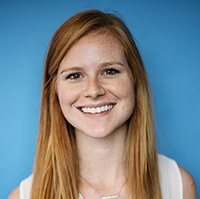 Regan Kennamer is a Marketing Specialist for IngramSpark. She holds a degree in marketing from Belmont University and gained industry experience with both traditional and hybrid publishing houses before joining the Spark team. A bibliophile to her core, Regan enjoys educating and empowering authors to get their books into the hands of more readers.